Religion aside, Easter is all about eggs and chocolate , so this cocktail is about as 'Easter' as it gets. It's made with Creme Egg Vodka (get the recipe here) and contains an actual egg, so I think I've got my Easter credentials covered. Obviously, there will be those who don't wish to consume raw eggs and I'm certainly not going to try and persuade you, but you can read the NHS guidelines and make up your own mind. Cocktails that contain whole egg (both yolk and white) belong to a group, known as 'Flips' and date back as far as the 1600s. 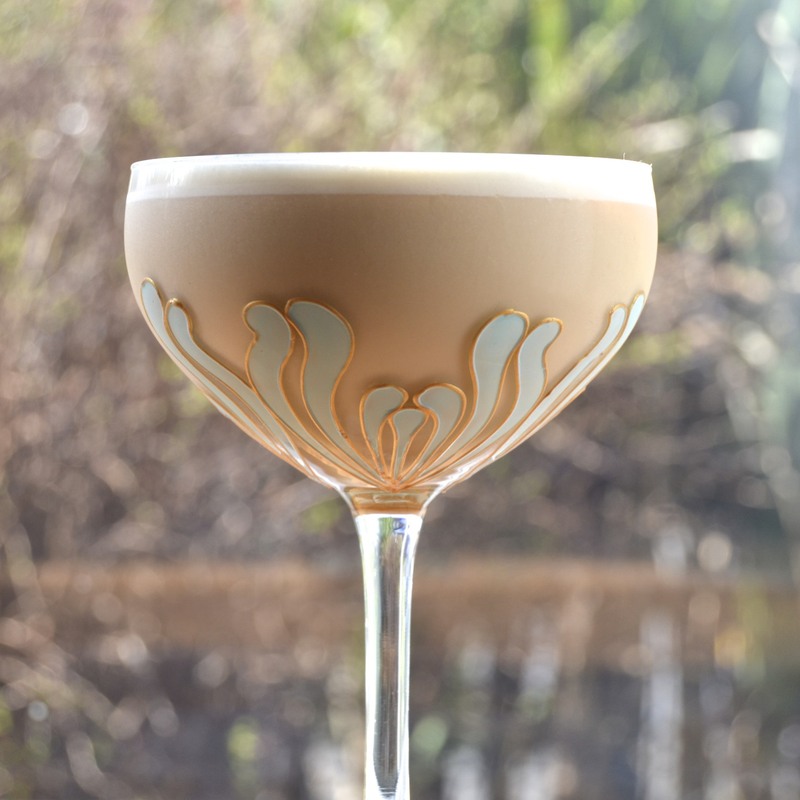 They went out of fashion, largely due to the possible health risks of consuming raw eggs, but when used, whole egg in cocktails, results in a velvety smooth and creamy texture that tastes incredibly decadent. Begin by beating the egg and then add all of the ingredients to a shaker and dry shake , i.e. without ice, for about 30 secs. Be aware that shaking with egg can cause a build up of gas in the shaker and can pop the lid! Add a handful of ice and shake again for another 20 secs, then strain into a chilled cocktail glass. 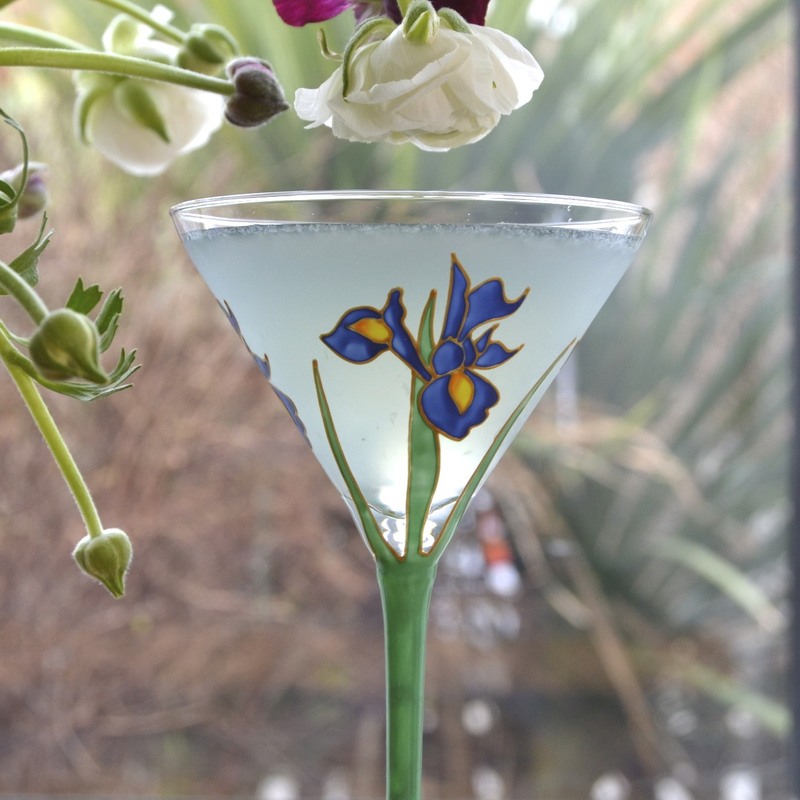 There are no end of exotic liqueurs and spirits, just waiting to be bought, but sometimes it's fun and tasty to have a go at making your own. With a bottle of vodka and some confectionery, you can create some nostalgic flavours that hark back to childhood and with the addition of strong liquor, might just give you something akin to the thrill of your 8 year old brain, confronted with a Creme Egg. As I have got older, the frisson of excitement that a Creme Egg could produce, has sadly, wained, although it wasn't so many years ago that I had a daily habit. However, I've been clean for several years now and to be honest, I actually find them a bit sickly. Still, when presented with a box of Creme Eggs by the marketing department at Cadbury, to enter their Eggs Factor competition (I didn't win, not even a mention! ), I wondered what to do with left over eggs. My children very kindly scoffed most of them, but I was left with one, which I decided to turn into Creme Egg Vodka. To avoid creating a horrible, gloopy mess that would be too sickly sweet, I used 1 Creme Egg for 200ml of vodka - enough to make it sweet and chocolatey with a slight viscosity, but still fairly runny. Begin by gently melting the Creme Egg on a low heat in the microwave or in a bowl, over a pan of simmering water, on the hob. When the Creme Egg has melted, pour on the vodka and stir to mix. 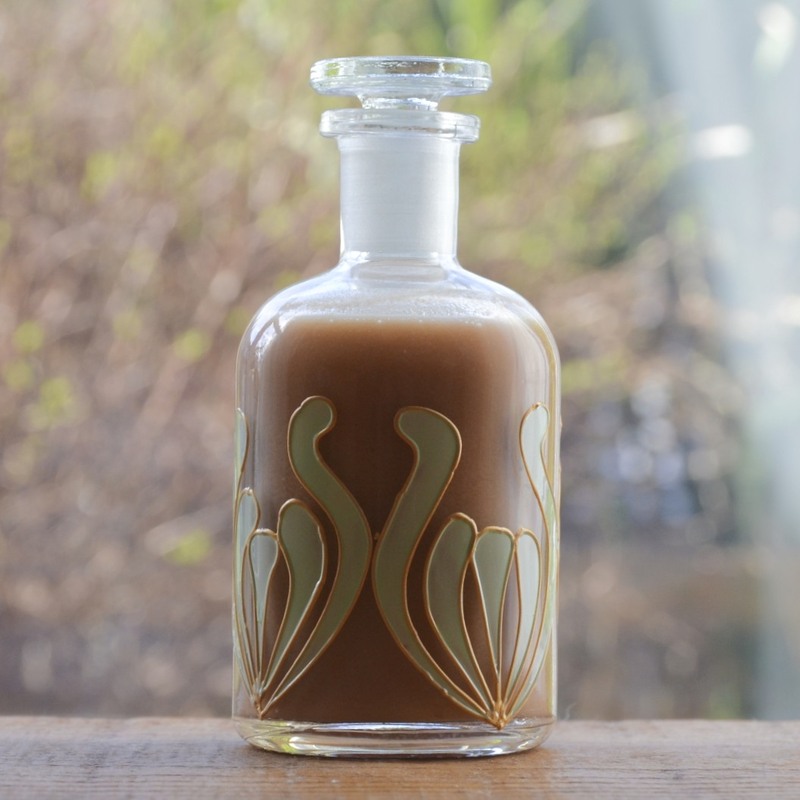 At this point, there may be a few lumpy bits which should dissolve in a short while, but if you are very impatient, pour into a lidded receptacle and shake hard until they dissolve. Store in the fridge if you would like to serve it as chilled shots. When the vodka has sat for a while, you may find that there is a slight sediment at the bottom, but just give it a little shake before pouring and it will be perfect. 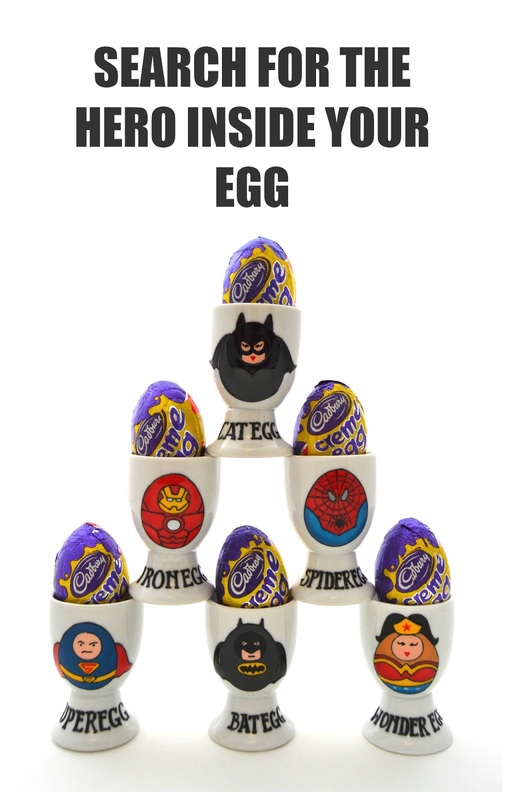 Just incase you are curious - this was my entry for the Cadbury's Eggs Factor... I was robbed! Perhaps I should have sent my vodka recipe instead. It has been a while since rum featured on my cocktail menu, but with warmer weather looking like a distinct possibility and sunshine streaming in through the studio windows, I felt the urge to mix up a drink to invoke languid, summer evenings in tropical climes. As well as using white rum, I decided to crack open the bottle of Vanilla Galliano that has been glowing like a great, yellow lighthouse in my cocktail cupboard. I must confess that I bought it erroneously, thinking it was standard Galliano, but as I am a fan of the original's earthy vanilla undertones, I figured that earthy, vanilla overtones might not be such a bad thing. The vanilla aroma is quite intoxicating and could be overpowering if used in quantity, but used sparingly, will add depth and complexity. As well as vanilla, there are over 30 different herbs used in the distillation of this Italian liqueur, notably star anise which, as any absinthe drinker will know, likes to make it's presence known. 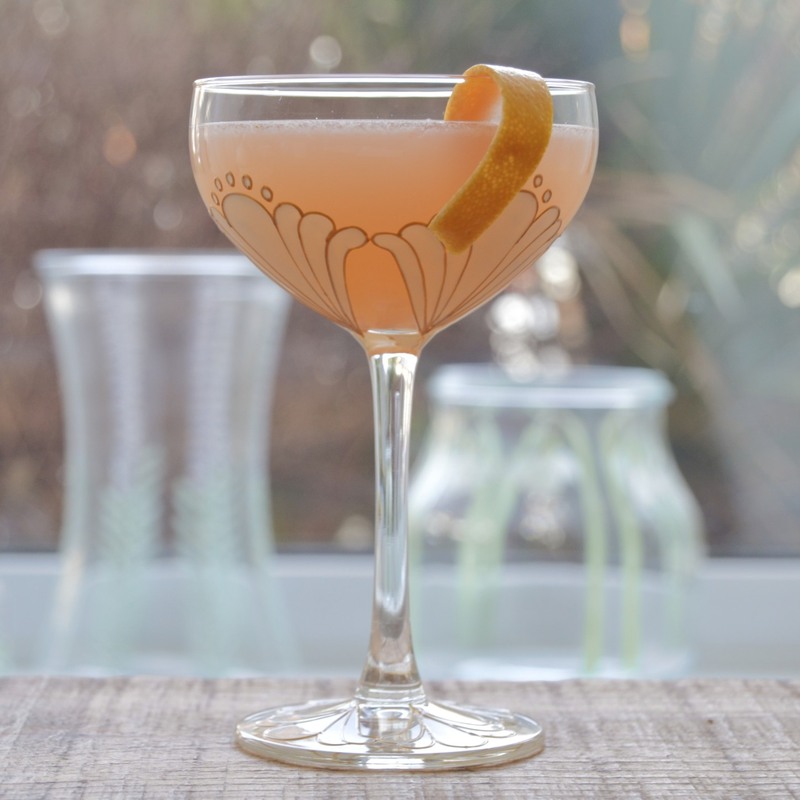 To compliment the complex flavours of Vanilla Galliano and white rum, I added Giffards Passion Fruit Syrup and the juice of half a ruby grapefruit. The result is a delicately floral, sweet and citrus cocktail that slips down, all too easily. Using a paring knife, carefully take a strip of zest from your grapefruit and set aside for garnish. Add all of the other ingredients to a cocktail shaker with a handful of ice. Close lid firmly and shake hard until the outside of the shaker becomes frosted. Remove lid and strain into a chilled cocktail glass. Twist the strip of zest over the drink to release the citrus oils and drop in the glass.